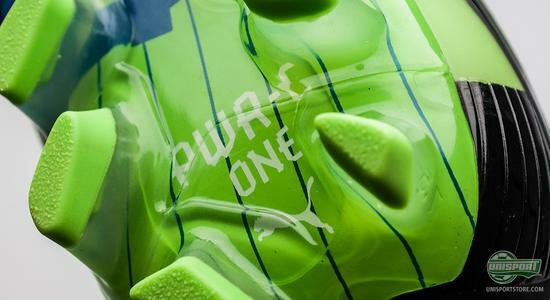 Puma apparently didn't want Adidas to have all the fun, on this mega-launchday and are therefore ready with a completely new colour-combination for their powerboot. 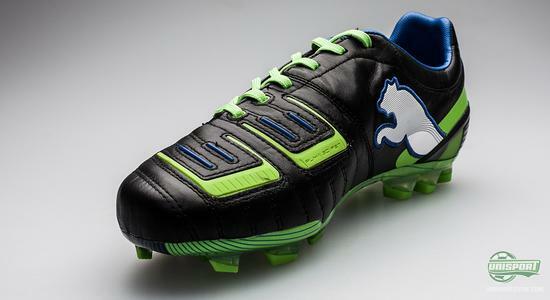 It's the Puma Powercat 1.12, that can boast of having one of the most diverse and varied catalogue of players, that covers everything from goalkeepers, to strikers. Puma Powercat 1.12 is one of the last boots on sale, that continues to focus predominately on power. It's however not its only force and this is testified by its multifarious portfolio of players using it, that among others include; Peter Crouch, Gianluigi Buffon, Bacary Sagna, Michael Carrick and of course Marco Reus. This is a result of the successful and esteemed combination of high comfort, a natural and soft touch and then the attribute it's most famous for; power! 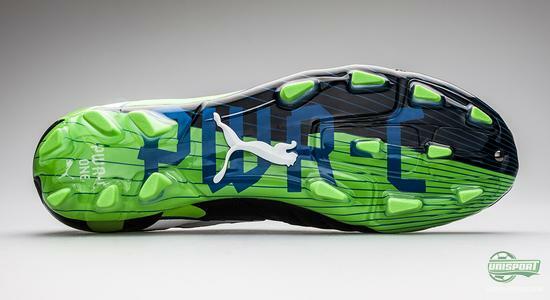 You can already pre-order your pair of Puma Powercat 1.12 Black/Green here, with an expected delivery date in the beginning of February. The powercat-collection has yet to miss the target, when it comes to their colourways and we once again have to applaud Pumas design team, because they've done sterling work. It's a boot with a very atypical look, that can boast about having The Leaping Cat on the medial-side, as well as the lateral-side, it somehow manages to capture the classic and elegant style, without loosing it's modern edge. We aren't afraid to say it: Puma Powercat 1.12 Black/Green/White is a hit in our book. 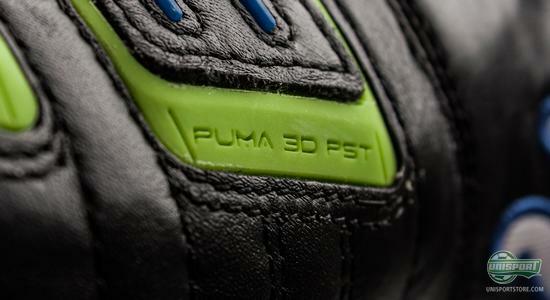 The comfort of the boot is something Puma have put a lot of effort into and the excellent result follows a combination of several aspects. 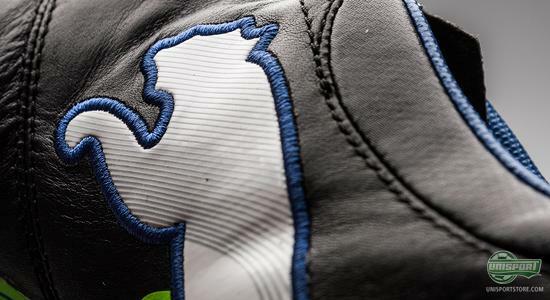 First and foremost, the front foot is covered with an upper of the highest quality kangaroo-leather, it shapes itself to accommodate the foots curvature and gives a phenomenal fit from the first time you use it. From the mid foot, microfibre material takes over and this is to give the best possible stability to the foot, but still keep the weight low. 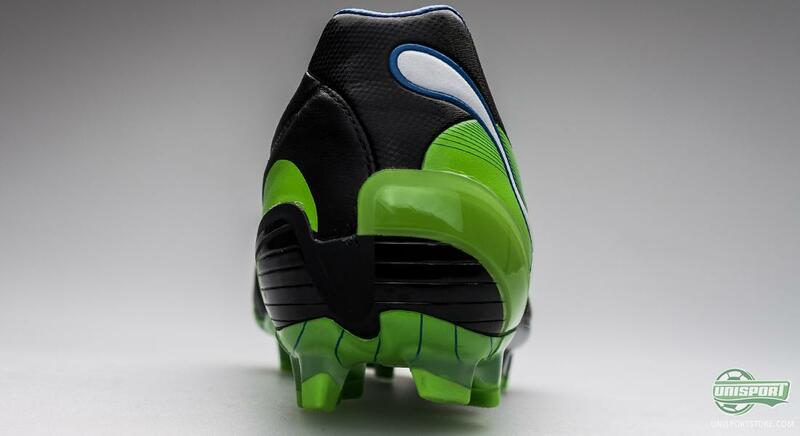 Although its range of qualities are many, the precision and power are still the two main focus points on the Puma Powercat 1.12 and the way it builds on these chief attributes, is with the 3D DUO Power Shooting Technology, that is situated on the instep on the boot. The small fins are produced with a thermoplastic material, that has two degrees of hardness. 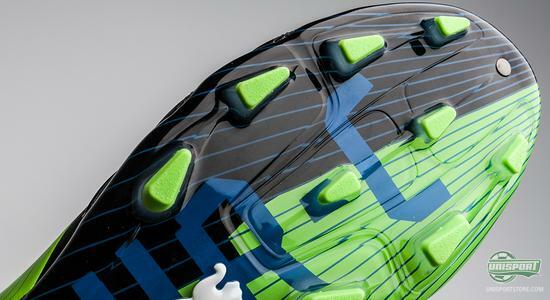 This gives them the ability to retract and reshape extremely quickly, so when you kick the ball and release the stored energy, the ball leaves the boot with added power. - Very smart. 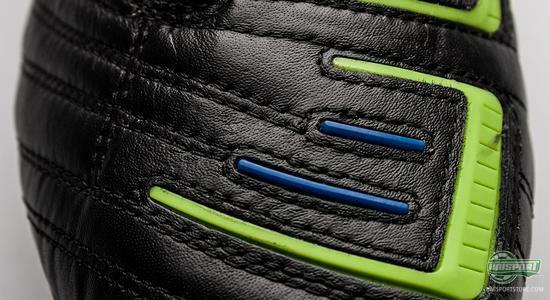 The strike improving capabilities are once again a feature when looking at the shoelace. 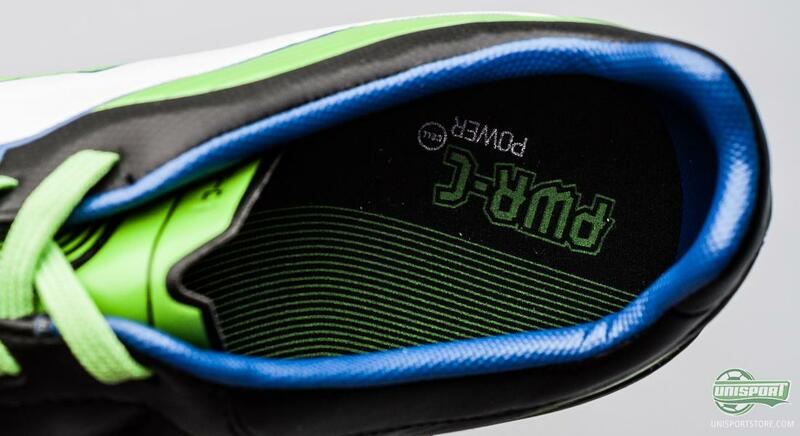 Here they've opted for a marginally asymmetrical lacing, so you get an even greater area of impact on the medial-side of the boot. 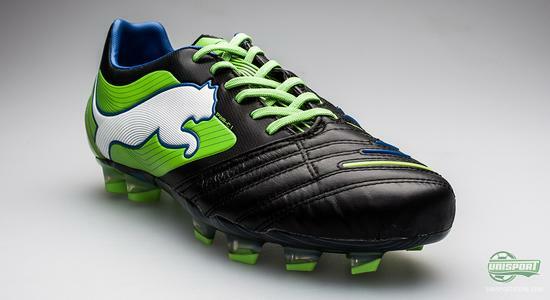 Thus giving you an incredibly clean hit on the ball, but you also get a super good touch, as there's also been made room for even more of the top-nice and soft kangaroos-leather, that covers the entire medial-side of the boot, so if you're a player who appreciates the natural touch from leather, this is something you will value greatly. 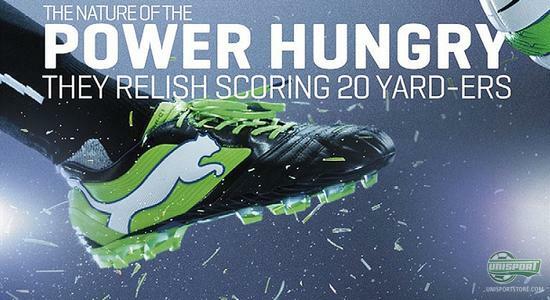 Puma Powercat 1.12 started with the new boy on the block, but has steadily improved its reputation, to an impressive degree and an equally impressive ensemble of professional footballers, who all swear by the boot. The list is long and counts not only experienced gentlemen like; Carrick, Buffon and De Jong, but also younger and fresher players like Dortmunds Marco Reus and Emmanuel Dench Frimpong. On the underside of the boot, Puma have used the flexible Pebax-sole, that follows the boots natural movement and therefore gives you the best possible comfort. 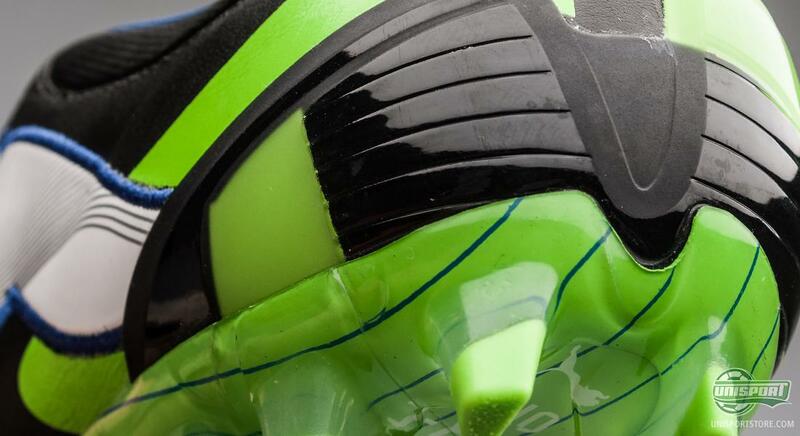 It's been given a stud-configuration, that is comprised of relatively narrow, bladed studs, that gives optimal acceleration and grip. Where it would be natural to fear, that this was at the cost of stability, but Puma have done their bit to avoid this and spent plenty of time on the matter. To solve any issue there would be with stability, they've not gone for the classic stud set-up of four heel-studs, but instead used six. 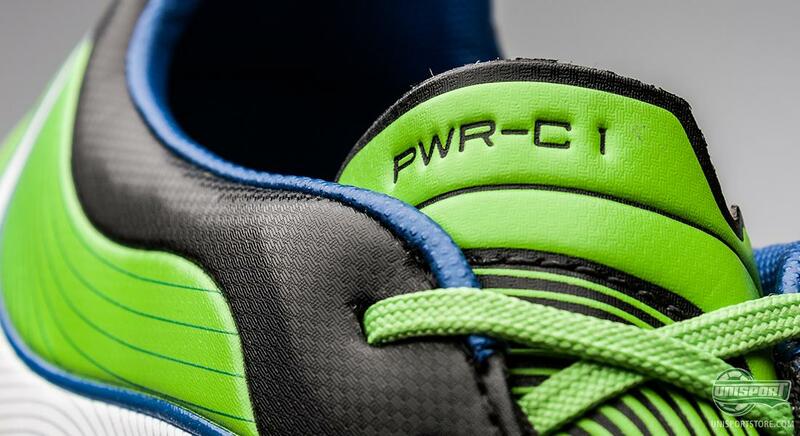 This is the basis for high levels of stability and to further improve this they've also fitted the Puma Powercat 1.12 with a fairly wide last, especially around the front foot. Therefore you feel extremely surefooted on the pitch and the chances of self-sustained injury is minimised. You can already pre-order your pair of Puma Powercat 1.12 Black/Green here with an expected delivery date in the beginning of February. 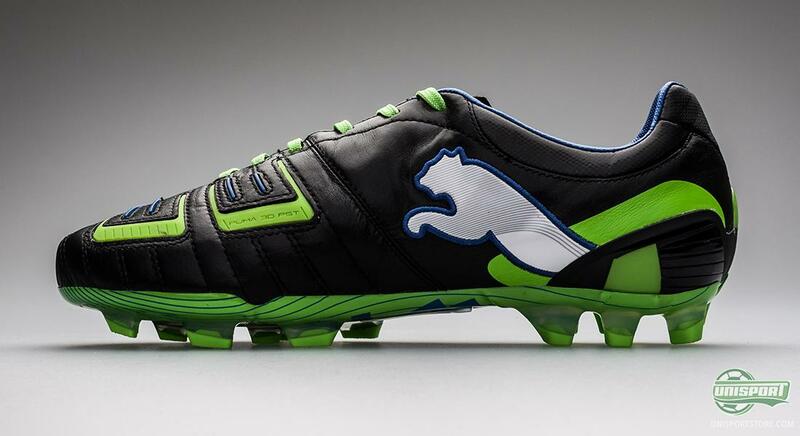 It wont be long, before we see players like Giorgio Chiellini, Nemanja Vidic, Michael Carrick, Emmanuel Frimpong and Marco Reus in the Puma Powercat 1.12 Black/Green/White and from these pictures, we are already excited by the prospect. 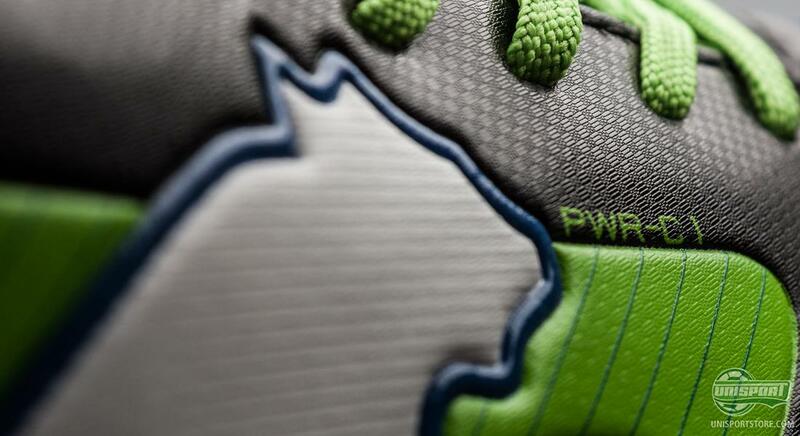 What do you think of the new colourway? Is it also a hit in your book? Feel free to share down bellow.